suspense / sci-fi series, "Homecoming" (with Julia Roberts) was filmed. Q. What is it supposed to be on the show ? A. The corporate headquarters of the Geist Emergent Group, a mysterious corporate conglomerate. Q. Where is it supposed to be on the show ? A. In California (which is also where Colin lives). In Episode 6 ("Toys"), a close up of label on one of the Geist bottled products contains the fictional address: 17 Fluxus Circle, Los Gatos, CA. Q. When did we see it on the show ? A. 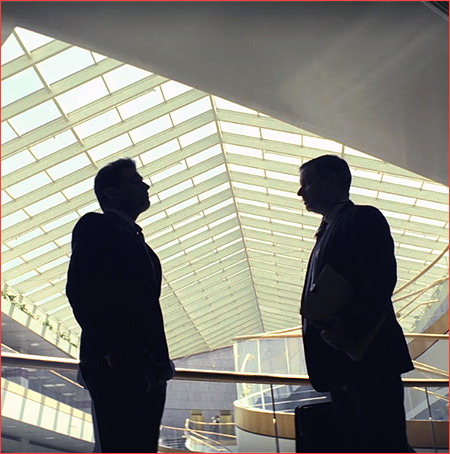 In Episode 4 ("Redwood"), at 14:45, when ( in 2022 ) the DOD investigator, Thomas Carrasco ( Shea Whigham ), goes to the Geist corporate headquarters looking for answers about Homecoming. 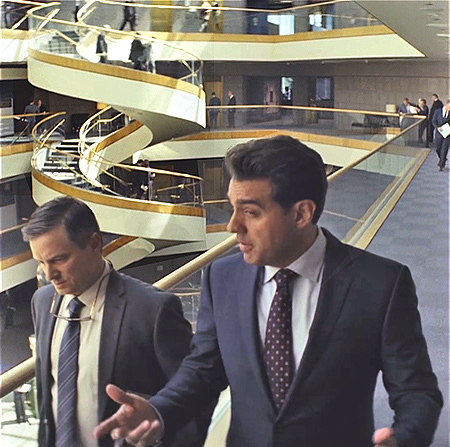 There, he encounters Colin Belfast ( Bobby Cannavale ), and as they walk through the spacious atrium of the building ( complete with large skylight above and a dramatic spiral staircase ), Colin attempts to convince Carrasco that it's all just a harmless coincidence. He denies that he is familiar with the Homecoming program, denies any knowledge of Heidi, and tells him that the program is "no longer operational". Q. What is it actually in real life ? A. Part of the North American corporate headquarters of a major Japanese automobile manufacturer. Q. Where can I find it in real life ? A. 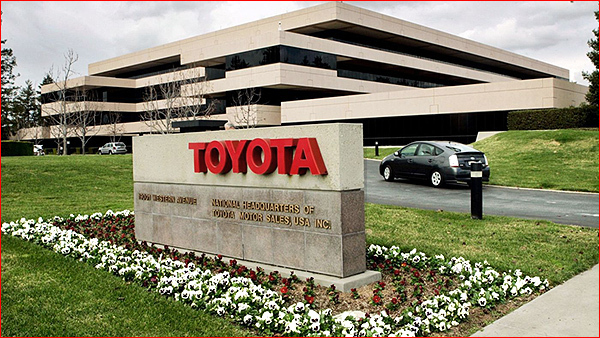 This building is on the same Toyota campus as the Homecoming facility building, part of the former North American corporate headquarters of that automaker. 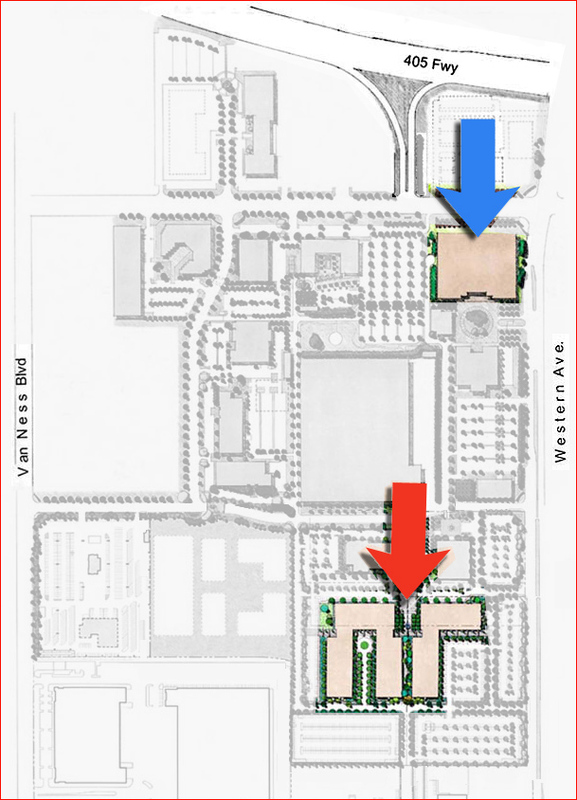 The address is 19001 S. Western Avenue, in Torrance, California, in the South Bay section of Los Angeles County. It's just a block south of the San Diego (405) Freeway, at the Western offramp. Q. How the heck did you figure out where it was? A. At first, I wasn't sure if this was an actual interior, or simply part of the giant set built inside a new sound stage at Universal Studios. But the more I looked at Its scenes, the more I became convinced that it was real. 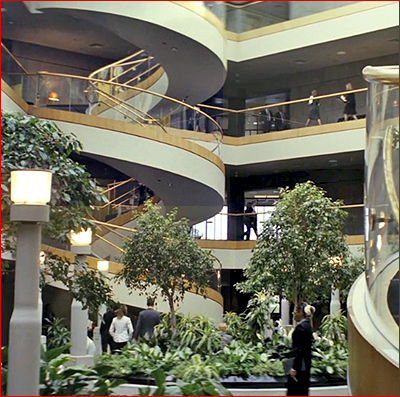 And the thought occurred to me that since they filmed the Homecoming facility at the Toyota corporate campus in Torrance, perhaps they filmed this Geist headquarters there as well. 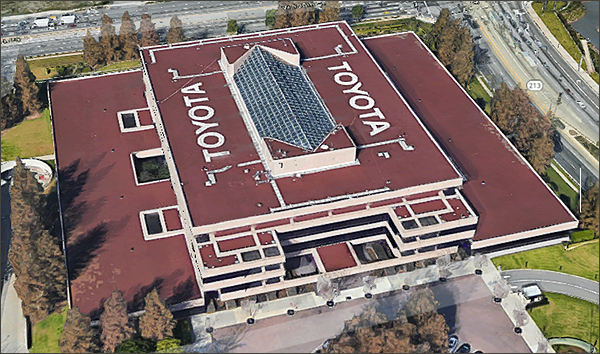 I knew that there were multiple large buildings on that Toyota campus, and when I looked at aerial photos of it, I spotted a large skylight in the roof of one of them. I compared the number of glass panels in that skylight to what I could see of the skylight from the interior shots of Geist on "Homecoming", and it seemed to match. 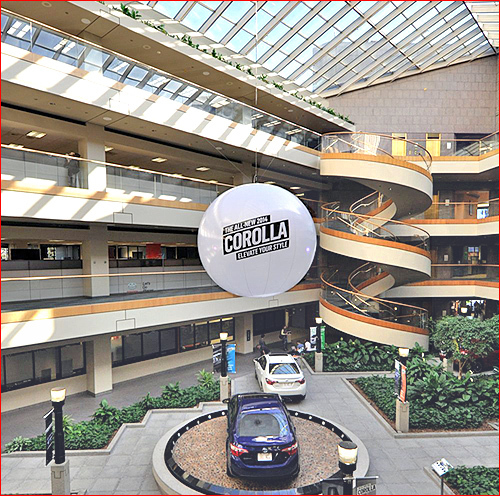 So, I googled for images of the Toyota campus, hoping to spot that distinctive spiral staircase, and/or that notable skylight on the ceiling. The photos on this page are screencaps from "Homecoming"
(which you can watch by clicking here) and are copyright Amazon.